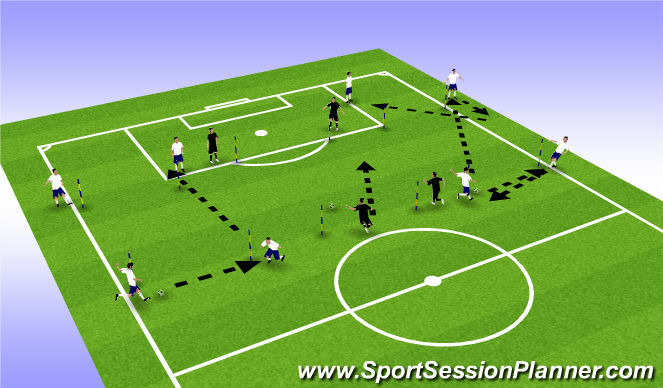 Two players stand behind each corner of a cone/man. 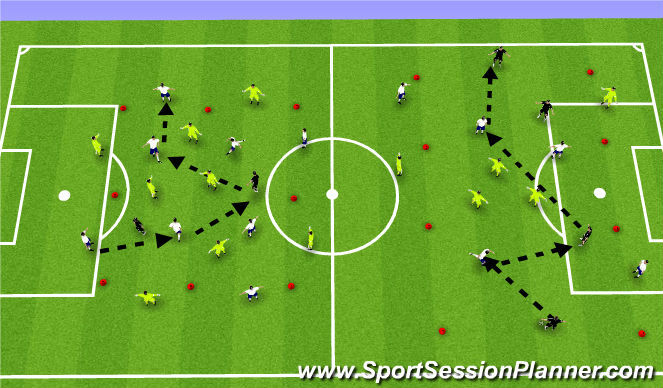 Each player takes two touches. - Follow pass. The ball is passed in a anti-clock wise manner/then clock wise. Every 90 seconds switch combination. Grid 12x12 to 20x20. Ball is passed using instep of foot. 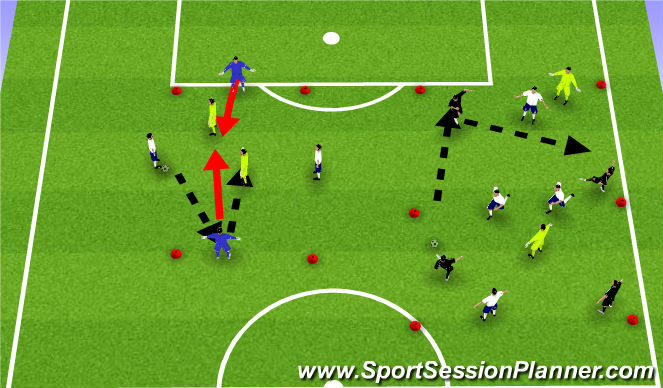 2 players inside must win the ball - 3 changes of possession to get out. 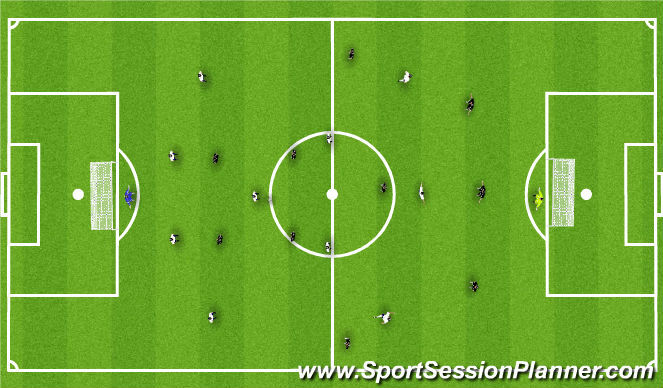 2 players inside must win the ball, play is continuous -Transition from attack to defense. Find space behind defenders- get in passing lanes. 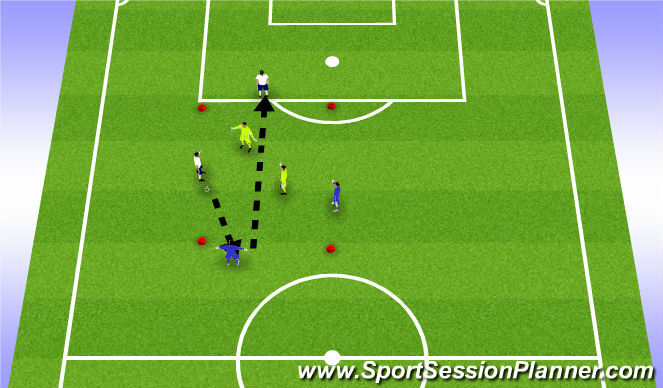 3v3 +2N- 3 touch max to Endline targets. Opening up body to recieve to play forward. Players on the outside alternate, w-y-w-y. 4v4 +2 inside the grid.